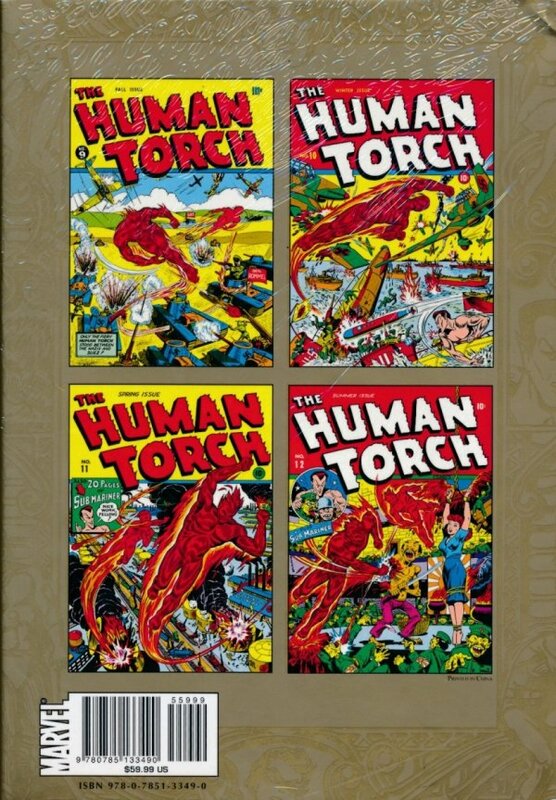 From the heart of the Golden Age of Comics, the white-hot hero of the decade, the Human Torch, comes burning at you with another exciting quartet of never before reprinted comic adventures! 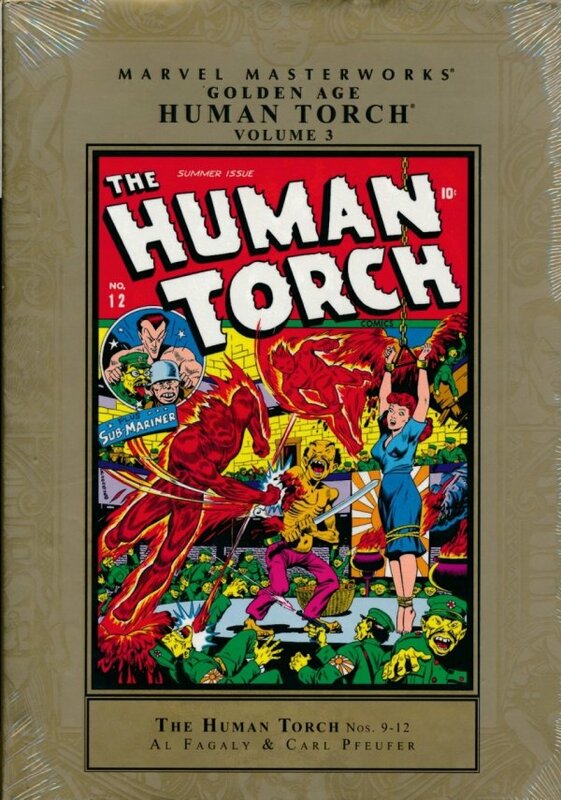 Between keeping America safe on the homefront and fighting the Axis powers abroad, the Torch and his kid sidekick Toro have their work cut out for them. They'll face Nazi rockets, Gestapo madmen, fifth columnists and more as they fight the good fight for the U.S.A. The action really gets going in the massive, 45-page "Death Dance of the Atlantic" when the Torch and Toro find the Sub-Mariner manning a Nazi U-boat. It's an action-packed dash to capture comics' most tempestuous sometimes-hero and decode the Axis' secret signal system, told in the manner that made Marvel great. Backed up by solo Sub-Mariner tales, along with the boy adventurer Jimmy Jupiter and humor shorts by the likes of Basil Wolverton, every issue is a cornucopia from Marvel's early years. Dig into the Golden Age and dig into history!